Earlier this week, we had the pleasure of being joined on a webinar by renowned gamification expert, Karl Kapp. Karl shared some great insights with us on why gamification for sales learning makes a lot of sense and what you need to consider when thinking about leveraging gamification to drive sales team performance. 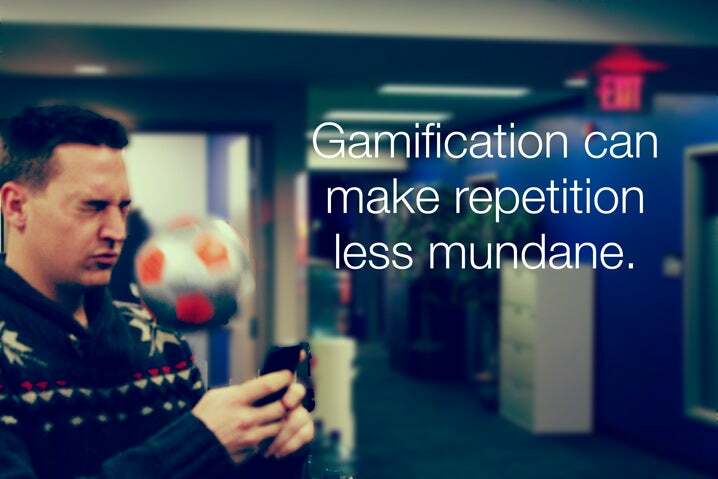 Gamification can break through the noise. (No salespeople were injured during this photoshoot). Science tells us that repetition of material can help dramatically increase post-training retention; however, if the material is repeated in a static manner, an employee could easily become disengaged (We’ve written before about the cost of disengagement). 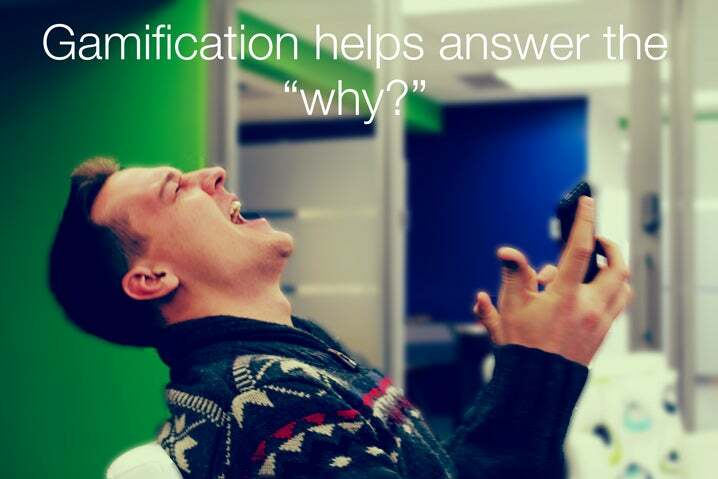 The actual game play elements of gamification allow for material to be repeated to an employee, without the employee being disengaged or frustrated by it. On the webinar, Karl mentioned that games provide the meaning, specifically the context for practicing content. Employees who go through a gamified training experience can tangibly see their progress toward mastery. This visualization alone can help motivate employees to voluntarily participate in training. Karl shared a stat on the webinar – pulled from our database of over 250,000 learners – which showed that 21.5% of salespeople actually take extra training on our platform in order to improve their knowledge. Meet Dave Geoffrey: Competitive, inquisitive and achievement oriented. 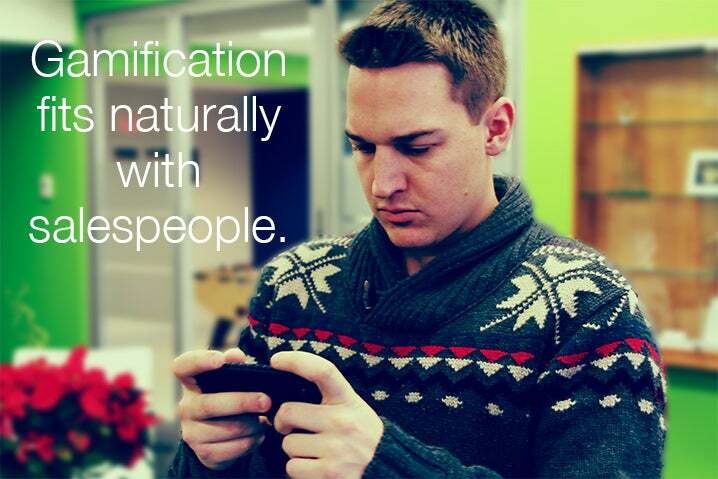 Gamification plays naturally into a salesperson’s personality. Karl shared some great stats taken from our database about how these traits translate into more engaged learners. For example, our database shows that a salesperson’s competitive nature prompts 55% of them to check the leaderboard area of our system every day. This is significantly higher than any other group of employees on our system. Similarly, many sales reps are achievement oriented and as a result, 38% of them check the report card feature of our platform every day. Again, this is more than any other group of employees on our system. Have you had a chance to check out the webinar yet? If you have, we’d love to get your thoughts on some key takeaways from it. Share them with us in the comments or send them to us via Twitter. As a bonus for those who attended the webinar, we also gave them a first look at our brand new Gamification Workbook, which we will be writing more about next week. Keep an eye out for it!